Whatever be your age, you cannot escape being a part of the t-shirt generation. Your style could differ, and you might prefer a v-neck over a round one, or wear only collared t-shirts but a t-shirt in your closet is almost like a survival requisite. To add some more weight to your closet, we’ve shortlisted 12 best t-shirts that are a must have in every man’s collection. 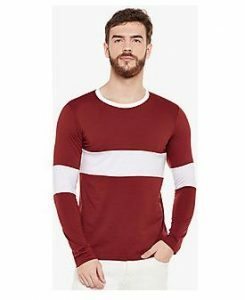 If you are looking at a combination of style and comfort then this cool V-neck T-shirt available on Amazon is a good choice. Its black base and grey collar is sure to stand out in the crowd while it has an appealing semi-formal look making it a good buy. For a casual day out, this T-shirt by Killer is a stylish pick. Its crew neck design and half sleeves make it comfortable and the white base with grey print makes it funky and flexible to be paired with denim in most colours. To get a good deal on your shopping at Lifestyle, use these coupons. 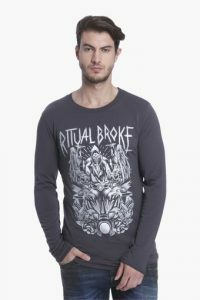 This fashionable round neck, long sleeves t-shirt from Jack and Jones is a good pick for the forthcoming spring season. Grey is a colour that you can wear in the day and night and its graphic print and comfortable cotton fabric are sure to make it a favourite pick for the season. White is an all-time favourite. 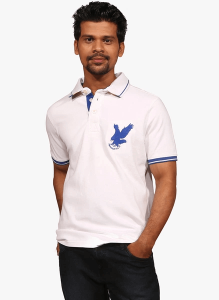 Go for this solid white polo t-shirt from Provogue, wearable for almost all occasions without a second thought. So whether it’s a cricket meet up, a coffee plan with friends, or a casual date with your one and only, this t-shirt is sure to help you shine bright. Redefining casual dressing, this tee from Spring Brake is a good choice for those who like to keep it simple yet make a statement. 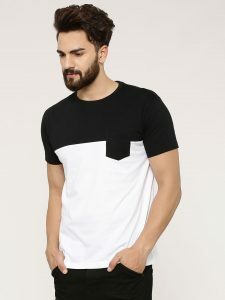 Its breast pocket design is something that is sure to stand out from the rest and the contrast black and white element makes the design even more attractive. Follow Koovs on Streamz of GreatBuyz to stay updated on their latest news, sales, offers and more. Get Koovs coupons on GreatBuyz for your online shopping. This blue full sleeves plain t-shirt from GAP is stylish and comfortable. 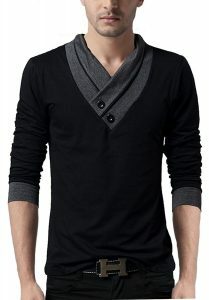 Its front buttons lend it a unique look whilst enhancing its straight fit and Henley neck. The cuffs at the end of the sleeves make it more wearable, while one can choose to wear it with a pair of cargos or jeans. 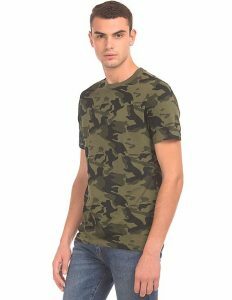 This military green camouflage t-shirt from Aeropostale is an apt pick for a stylish rugged look. 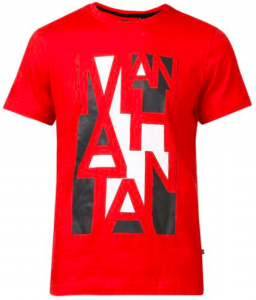 Perfect with a pair of cargo shorts, or even denims, this t-shirt is sure to leave an impression. 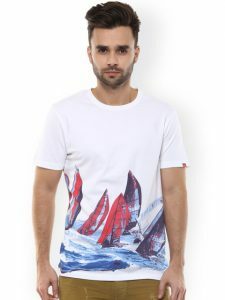 For a laid back, casual look, go for this t-shirt from Spykar with a white base and a high quality print of sail boats braving waves. 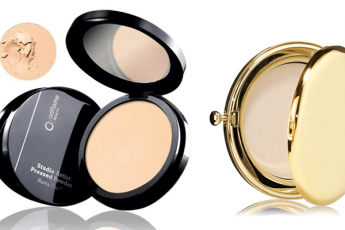 While the design is simple and fit is regular, the entire package is appealing and a good buy for the price. 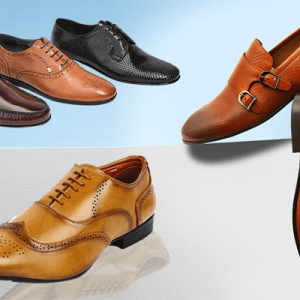 For a classy look, you might need to dig your pockets deeper. This t-shirt from Tommy Hilfiger available at Flipkart is a classic polo t shirt in a timeless combination of red and blue. Its beautifully detailed and the finish is just brilliant. You’re sure to make a style statement with this one! A perfect t-shirt for Friday dressing or a Saturday lunch date, this polo tee by WestSide is going to get you a lot of compliments. Its subtle beige colour, pique fabric, dotted design and slim fit is a winner all the way. Grab Tata Cliq Mobile coupons on GreatBuyz. Follow Tata Cliq on Streamz of GreatBuyz to stay updated on their latest news, sales, offers and more. Available in a beautiful maroon colour, this t-shirt by Stylogue is a comfortable choice for casual wear. Its long sleeves make it apt for spring while the simplicity of the full colour with a white block line running through it lends it a stylish appeal. 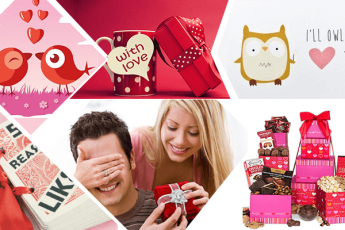 Get Latest Shopclues coupons on GreatBuyz. Follow Stopclues on Streamz of GreatBuyz to stay updated on their latest news, sales, offers and more. 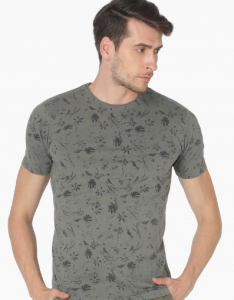 This casual tee from Parx is a stylish choice for young men looking to make an impression. It is sure to stand out with its quirky print and comfort fit. The round neck and short sleeves add to its classy appeal. 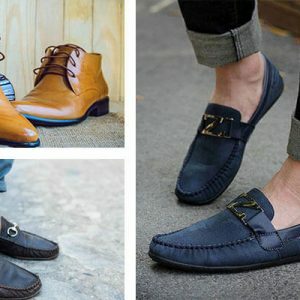 Pair it with a pair of denim and loafers for a trendy look. Don’t forget to use the coupons on this page, to get yourself a sweet deal. Whatever be the weather, occasion or mood, you are sure to find a t-shirt to suit your need here. nice collection of tshrts for men. 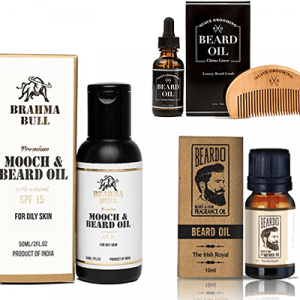 love to buy each and every product you mention in your blogs. Thanks for posting! 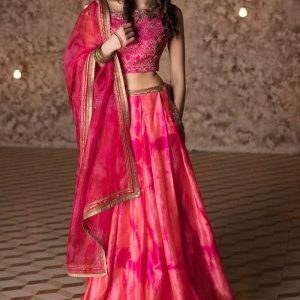 Awesome design of clothes are here, You can also check the Gohitbid online shopping trend where customers are getting best deals with exciting offers.